Here's your chance to win DR. WHO: The Complete Sixth Series on Blu-ray courtesy of BBC. 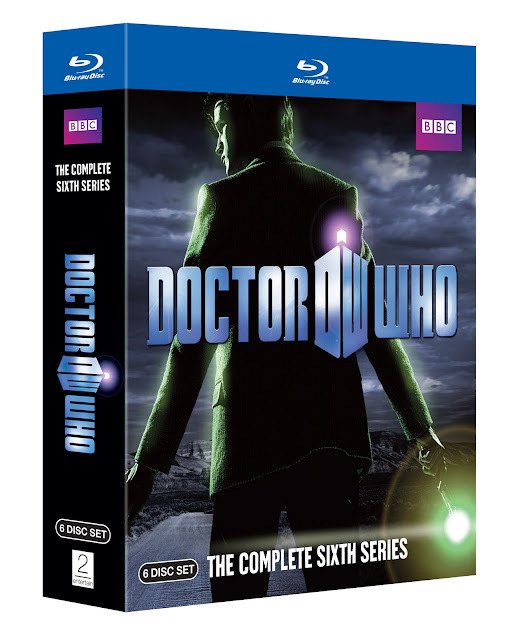 This awesome sixth series released on November 22nd and you can own it on Blu-ray today! Next, send an email HERE and give us your name and mailing address with the article title in the subject line . The contest ends on Tuesday, December 6th. The lucky winner will be randomly picked and the Blu-ray will be mailed off to you! It's that easy! The eleventh Doctor (Matt Smith) and Amy (Karen Gillan) make their triumphant return in a season filled with fresh thrills, new monsters and pulse-pounding adventures. "The new Who feels at once traditional and fresh, and completely right" -Los Angeles Times. Plentiful extras include a 60-minute Christmas Special; Doctor Who Confidential, an inside look at each episode; audio commentary, trailers and more.